We have recovered N681bn debt in the last six years – AMCON – Royal Times of Nigeria. 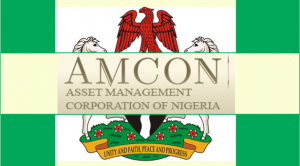 The Asset Management Company of Nigeria (AMCON) on Monday said it has recovered over N681.5billion from debtors in the last six years of its operation. Managing Director, AMCON, Alhaji Ahmed Kuru said this at an interactive session with judges of the Federal High Court in Abuja. He also aid the debts were recovered in form of cash, properties and shares. Kuru added that AMCON had at least N1.7 trillion worth of assets under litigation across the country. He said; “We realize that when all other resolution strategies fail, we have to resort to the courts in order to exercise our special enforcement powers. “We understand the crucial role of the judiciary, that is why we always look forward to opportunities like this where we can share some of our unique experiences towards ensuring that justice is done in all our cases based on a thorough understanding of the unique regime under which AMCON was established,”. “We hope that there will be more opportunities for collaborations like this in the future,”.